Christine Hunt joined The Kendeda Fund in March 2016 as a coordinator and is based in our Atlanta office. Christine previously worked at The Community Foundation for Greater Atlanta where she served as a philanthropic advisor and director of the Center for Family Philanthropy. 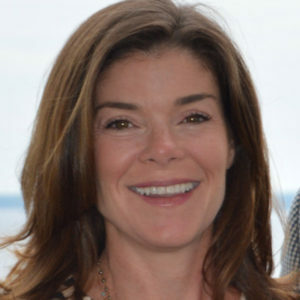 She has also served as a fundraising consultant at Coxe Curry & Associates, and as a grantmaking consultant with the J. Bulow Campbell Foundation. As a volunteer, Christine chaired her neighborhood school’s foundation board, and she has also worked with Imagine It! The Children’s Museum of Atlanta. Christine is a graduate of Purdue University. She and her husband Bill live in Atlanta with their twin daughters. Reading a great book is my favorite way to unwind at the end of every day. Anything active — a daily walk, playing tennis or hiking in the north Georgia mountains — reenergizes me.